Oh Belle. She wanted more than a provincial, small town life. Little did she know she would fall in love with a beast. Belle: a dreamer, a free-thinker, a warm-hearted soul, a fashion inspiration. 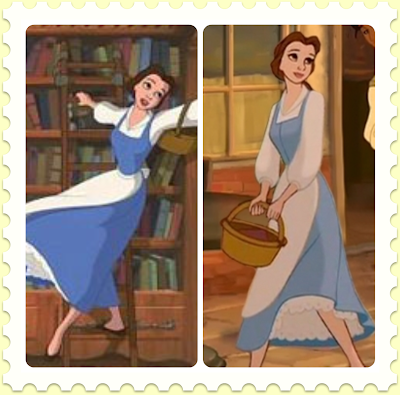 Though Belle was a small-town girl, she certainly knew how to dress. Check out her totally in style blue jumper and billowy sleeved blouse. Very in style, Belle. My personal favorite piece of this outfit is her blue blue. Belle did bows before Urban, American Apparel, or Kate Spade. Belle is a humble young lady, who though is the most gorgeous lovely lady in her town, all she wants is to be educated and read. Now, you too can dress like the original hipster-Belle. 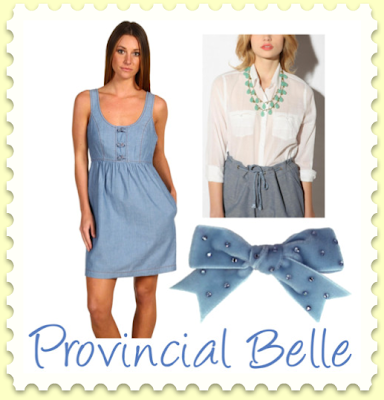 All you need is a blue jumper, white shirt, blue bow, and a "I want something more than this provincial life" attitude. 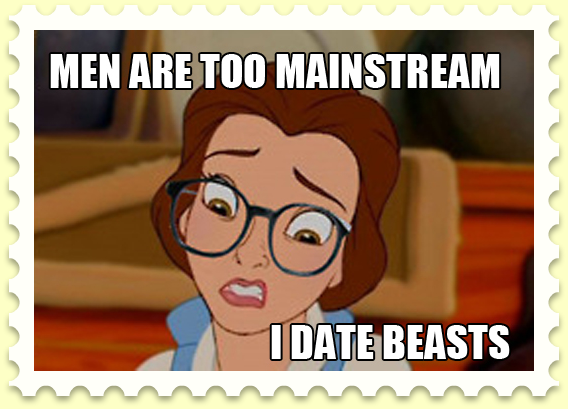 Hispter Belle: she's too good for the normal "man."